Standing out from the sea of sarees, anarkalis and salwars during the festive season may seem impossible but there is one way to do it and we've got Jacqueline Fernandez to thank for that. The Bollywood star arrived for a Diwali party in a beige lehenga choli with floral work over the skirt and gold trimming. Sure it was subtle but definitely made for a chic statement that stood out from the shimmer heavy ensembles. 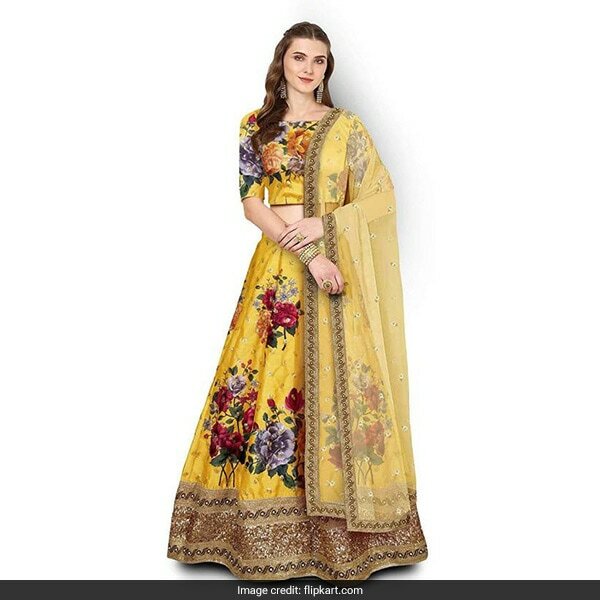 Best part is, you too can try this celebrity floral lehenga look with these 3 picks. 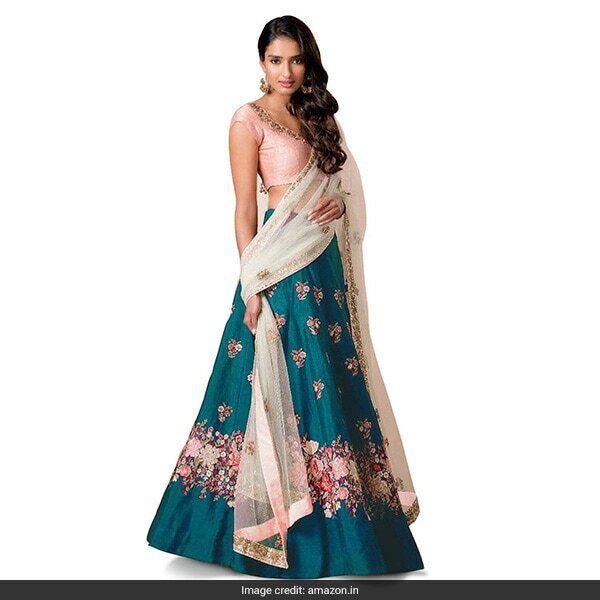 The FabPixel Lehenga Choli Set comes with a magnificent pink blouse, teal skirt and matching floral embroidery with zari and sequin work. It is made of raw silk with a net dupatta in blush tones. It is available for Rs 2999 from Rs 9999. Shop here. Give your look a contemporary twist with the Fotoablearc Lehenga, Choli and Dupatta Set. The silk set in sunny yellow has a chic floral print over the blouse and skirt with gold trimming. It is available for Rs 1299 from Rs 4999. Shop here. You can't go wrong with deep tones like with the JSItaliya Lehenga, Choli and Dupatta Set. The navy blue satin and silk set has red and gold floral work over the blouse and skirt. It is available for Rs 899 from Rs 1999. Shop here. 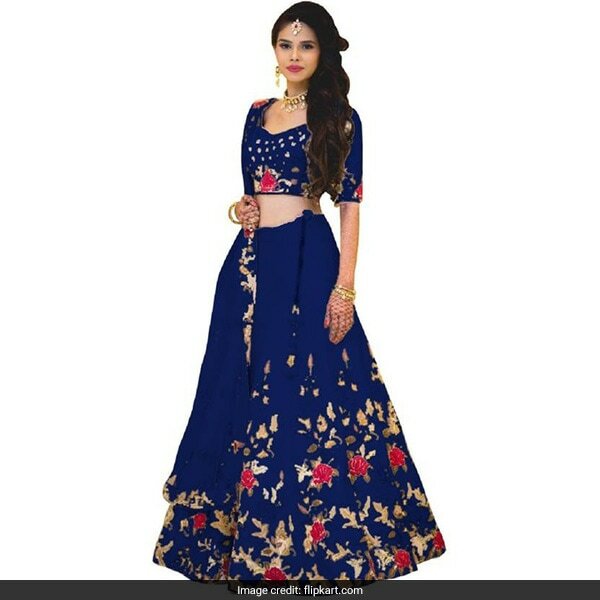 This season's floral lehenga is a definite way to add a desi twist to your festive look.